What you don't know about your team can keep you from your best work. Cloverleaf's team assessment dashboard helps managers build better teams and get better work done. Through our assessments, you will be able to learn your specific work-style preferences, and strengths. Each day, you will be provided with new insights getting into the nitty-gritty of how you can do your best work. The Cloverleaf Team Dashboard allows you to see team data all in one place. As team members update their data, you will be able to see immediate results through our technology. Cloverleaf provides insights into skills, competencies, behaviors and cultural values that impact performance. Enable your employees to understand new team members as much as the first 8 knew each other. The best part? No need to log on to another platform; get insights directly sent to the tools your employees already use like Gmail and Slack. 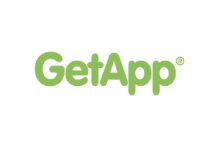 Don't just take our word for it, see what others are saying or explore our GetApp and Capterra listings to get access to our public reviews. "Really helped us sort through candidates easier!"